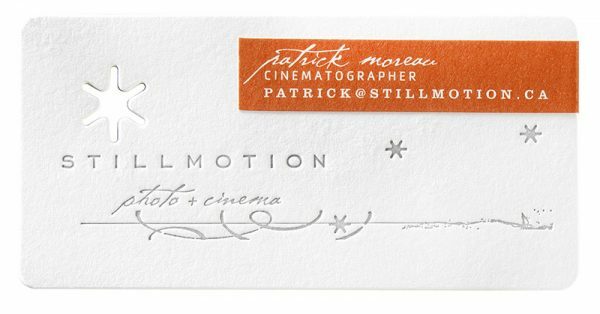 Eric Kass designed these business cards for Stillmotion, an internationally recognized wedding photography & film studio that creates artful images and provides industry education. 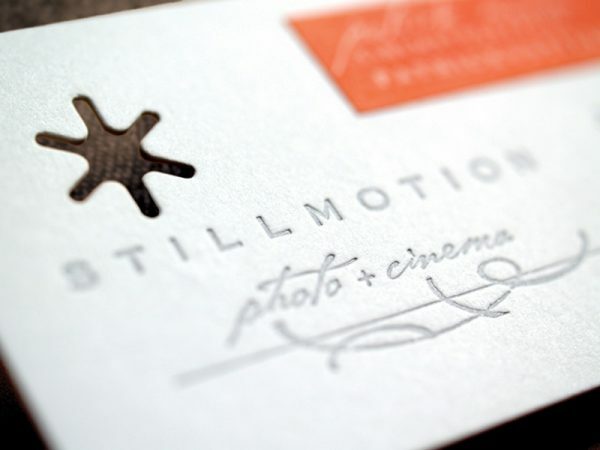 The card itself has that dramatic element that suits well with the brand of Stillmotion, who believes in the power of a well told story to inspire, endear and incite. 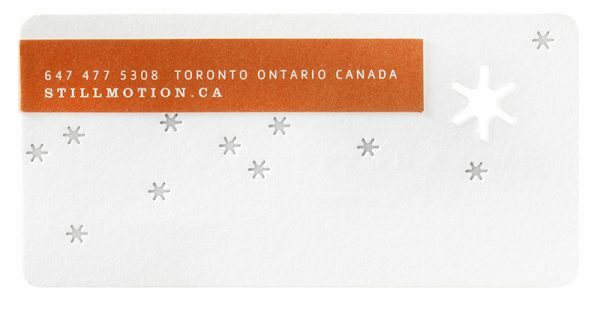 There’s a custom die cut shape of an asterisk, including a few little ones that been letterpress-printed on both sides of the card.  The orange label gives a great contrast to a white background, emphasizing the contact details on it. Faulkenberg Printing printed these business cards via offset lithography. Overall, a clean and stylish design!